Read SHARE's August newsletter for the latest happenings and events. Introducing Our Executive Chef for the 15th Anniversary of A Second Helping of Life! Chef Barbara Sibley of La Palapa is the Executive Chef of the 15th anniversary of A Second Helping of Life, SHARE's annual fundraiser! Joining Chef Sibley will be Emmy-award winning news anchor Tamsen Fadal , who returns as host, and some of the biggest names in the NYC culinary scene, including Alex Guarnaschelli of Butter and Angie Mar of the Beatrice Inn. 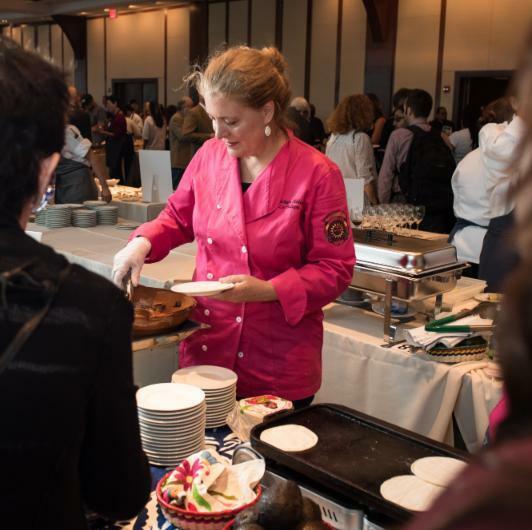 Each chef will be paired with a celebrity sous chef, including Amy Robach of ABC 20/20 and others! For more information on how you be part of this incredible occasion, as well as to purchase tickets or make a donation, visit here . Save the Date! Join us on August 13 for an informational session on SHARE's all new young professionals advisory board! This is a great opportunity to network with other prospective members while also learning how you can support SHARE's work. Drinks and appetizers will be provided. If you'd like to attend or want more information, contact our Volunteer Manager. SHARE's Pink and Teal Reception, held June 20 at the Hearst Tower in NYC, was highlighted in Real Estate Weekly. See coverage of the festivities here.